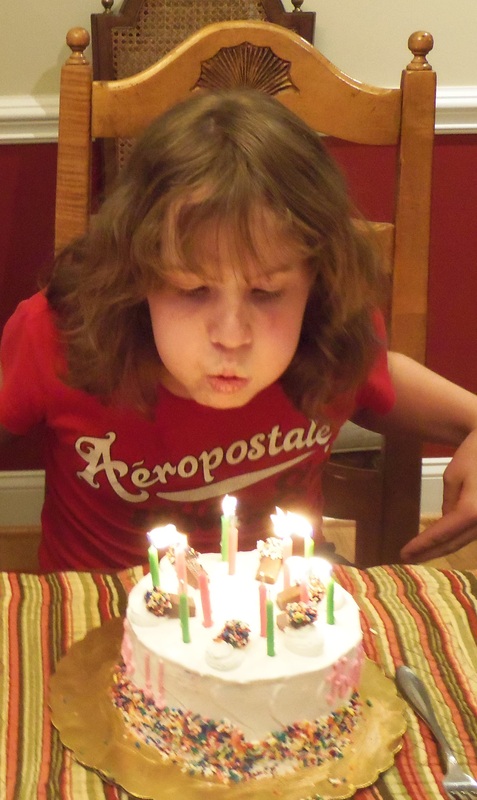 When it comes to kid birthdays, there are some that seem to be particularly noteworthy. In the toddler years, just about every one of them is exciting because of all the milestones they’ve passed in 12 months’ time, but when kids get to be school age, birthdays don’t seem quite as momentous… that is, till they hit about ten. That one seems to be important because as my friend’s daughter pointed out, “I’m in double digits now!” Thirteen is significant because a child can officially claim the right to be called a teenager. Sixteen is, of course, cause for celebration since it carries the potential to become a solo driver and gain a lot of independence. Then, eighteen rolls around and they legally leave the status of “child” behind. But twelve doesn’t seem as important… that is unless you’re my youngest daughter, Leia. She turned twelve last week. I guess I should have anticipated a big change coming when she asked for a shopping trip to buy clothes instead of toys or dolls. This request came from a girl who has played with dolls basically every day of her life since she was old enough to crawl. Polly Pocket has been the favorite for a long time. These small figures with rubber clothes just seemed to fit in her hand perfectly, and went everywhere with her. I always made it a point to carry a couple in my purse just in case she got bored and needed to be entertained. 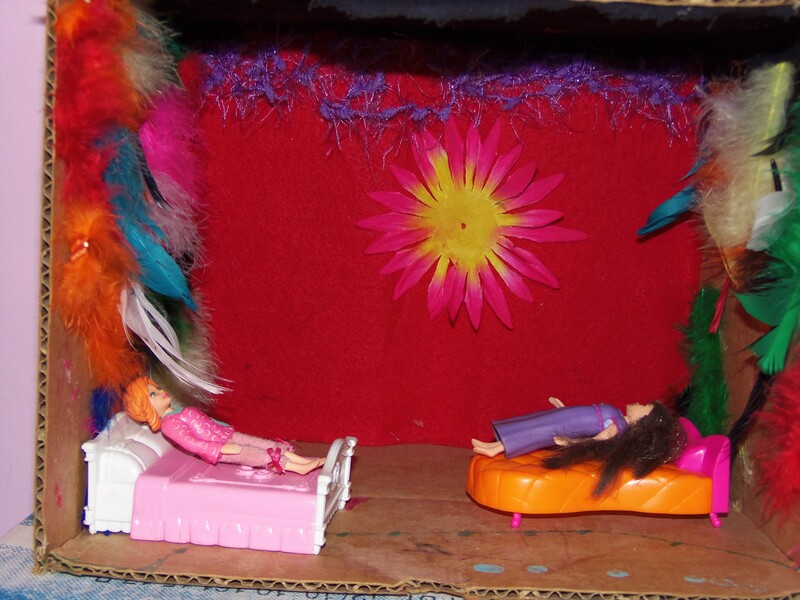 When she was about six, she began constructing an elaborate Polly Pocket apartment complex made from cardboard boxes, scraps of fabric, glitter, paint and artificial flowers, feathers, and ribbon. “Bremen” as she called it, was the scene of many fine adventures which hosted a variety of evil villains, fairy magic, and super hero rescues that filled her afternoons quite well. The fabricated town became so much a part of her room that I considered it décor. I dusted and vacuumed around it during cleaning, relocated it when we rearranged the furniture, and even decorated the Polly town with a tree, lights, and tinsel every Christmas. But, today there’s bad news in Bremen. 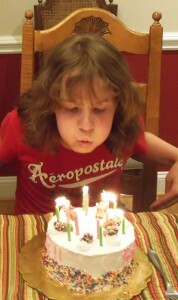 Leia is twelve now, and as I’ve been informed, twelve year olds are more grown up than eleven year olds. To mark her coming of age, she began a spontaneous cleaning spree yesterday. She pulled out the toy boxes from under her bed and sorted through her all the belongings in her closet. She packed away the Barbies. stored the dress-up clothes, and trotted all her ‘My Little Ponies’ off to the basement. And, it’s sad to say that Polly Pocket didn’t make the cut either. She and her friends, along with all the rubber shoes, neon dresses, and tiny Polly pets were deposited in an old lego container and are now corralled on a shelf next to the ponies to wait in suspended animation for grandchildren to bring them to life again. And Bremen? Dismantled, and out by the garbage can. We all go through them. Some are dramatic and painful. Others pass almost without notice. Anticipation and excitement about new possibilities are often punctuated with hesitancy and fear of the unknown. What lies ahead? And what will we leave behind in the process? Tom and Ann just moved to a new house in a brand new city 1200 miles away. They are thrilled to be closer to family, but moving meant they had to say goodbye to close relationships and dear friends from their old neighborhood. Becky recently had a baby. With joy, she and her husband welcomed the new addition to her home, but, for a time, they had to set aside of the spontaneous freedom that a childless couple enjoys. 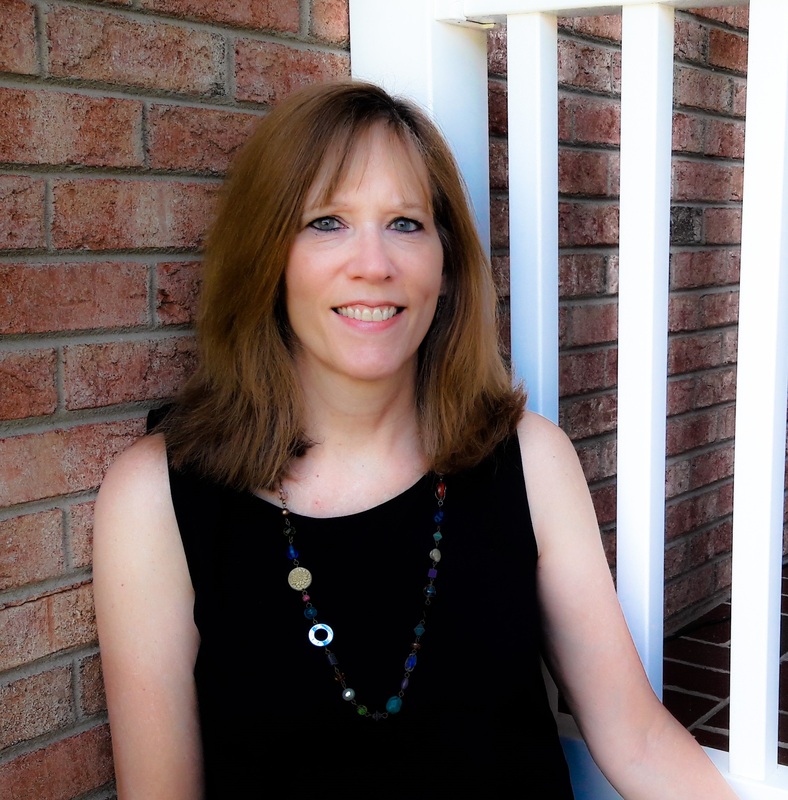 Tammy resigned her position at a company that she’d been with for over 20 years. She’s anticipating the challenges of a new career, but is forced to let go of comfort, familiarity, and the camaraderie of people she’s known for two decades. .
Laura will graduate from college next month. She’s looking forward to testing her new skills in the marketplace, but leaving the safety and supportive environment of the classroom is scary. Isn’t that exactly what you need to know when you’re facing uncertainty? That you’re not alone and that it’s not up to you to figure out what to do next? God reminds us in these verses that He is interested in what’s happening in our lives, and promises to strengthen us to face whatever comes our way. He says personally, “I am your God. I will go ahead of you and will energize you and assist you every step of the way.” Our responsibility is to set aside the tendency to worry and fret (Ps. 37), reaffirm who we are in Jesus Christ, and rely upon Him to provide the guidance and support that we need during fearful times. I’ve been through a lot of transitions in my life, and will no doubt go through many more in the years to come, but even when stability seems tenuous, I have to choose to immerse myself in the Word of God and hang onto what I know is true regardless of how I feel. God’s steadfastness and unchangeable nature give me (and you) the only solid foundation to stand on even when everything else in our world seems to be shifting. Leia is finished boxing up her little girl things and is excited about the look of her remade room and entering in this new phase of life. As for me, I’ll soon be adjusted too, but for now, I’m trusting God’s ‘righteous right hand’ to lead me through the mysterious fog of the unknown. In the meantime, I’ll think I’ll keep a Polly Pocket in my purse for just a little while longer. Get encouraging, God-centered tweets when you follow @Switchbaxx on Twitter! I love this Karen. It made my eyes cloud up thinking about our children growing up! And I should know as we celebrated the marriage of one of our 3 boys this year. But so many events in life bring us to a fearful transition point. I do not know what I would do if I did not know Jesus as my Lord and Savior and have the Holy Spirit leading and guiding me through God’s Word during such times. And Isaiah 41:10 seems to pop up often as a landing page! Thanks Karen for your inspired writing! Thanks, Terri. I agree!! Thats one of my favorite verses. So glad that we have a God who knows ALL things so we’re not left to find our way on our own! Goodness gracious. Even the responses & your replies to the responses touched me. Whew! Beautiful, Karen. If I had to say this out loud I’d not be able to speak. Thank you so much for speaking the Father’s heart to us. You are only able to do that because you know Him so well. And that happened because you endured enough trials & oppositions to know His faithfulness. Bless you for the testimony of your journey & blessings on Connie & Tammy also. Jesus spoke to me thru them as well. Thank you Rachel. I pray the Lord’s blessings and favor on you too! Thanks for your comments too Rachel. It’s funny that we shun the trials in our lives, but in reality, they are what teach us to know God better and lean on Him more fully. I mean, we only know Him as comforter when we need comfort, only know Him as guide when we don’t know what to do, and only know Him as Savior when we realize we’re lost. Bless you too! Praise be to God for His vessel, Karen, for speaking directly to my soul in this message today! Thanks Connie! Be assured, God is with you in whatever you are facing today! Thanks, Tammy! I don’t think it ever gets easier to let go of things that are precious to us, but we have to trust that He knows what’s best for us and will never leave us when we venture into the great unknown. I love that Isaiah doesn’t just tell us that God is faithful, but in 41:10, God speaks in ‘first person’ to assure us of His watchcare over us. Like a sweet, tender Father craddling his child!